I adore tomato soup! Can’t wait to try my hand at homemade. Thanks! This sounds wonderful especially when its been so cold. I’ve pinned this recipe since my husband LOVES tomato soup! 🙂 I’ll have to try it soon! Looks delicious !! that looks so yummy! our family is a fan of tomatoes, this is going to be a hit! Thanks for sharing! Yumm! My husband and I LOVE tomato soup!! 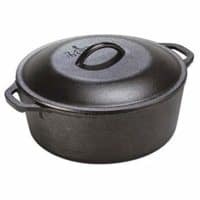 Always looking for new soup recipes to try, thanks for sharing! 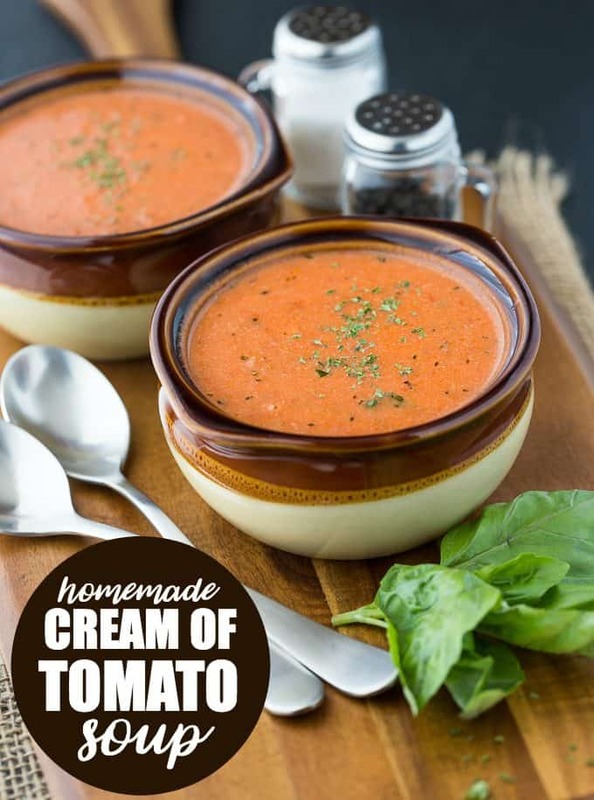 This tomatoe soup recipe sounds delicious! Thank you! My mom would love to try this. She loves soup. Thank you for sharing the recipe. This recipe looks great! I’ll be making this soup for lunch today! Another delicious-sounding recipe. I’ll have to try it. Looks good. My husband would love this recipe! We love tomato soup, but I have never made it from scratch. This looks wonderful. THanks for sharing. I love tomato soup with grilled cheese – I’ve got to try this. This looks super delicious and tomatoes are so good for you! Thanks for the recipe! I love Tomato soup, will have to give this a try. I’ve gotta pin this one..thanks for all the delicious recipes you post! It’s so cold and nasty outside. I would love a bowl of this today! I love trying new homemade soups to make! This tomato soup one looks amazing! Yum. this looks so much better than the canned kind! We love tomato soup but have never made it homemade, may just have to try this out tomorrow! I pinned this! Looks super yummy. A quicker tomato soup with that same “homemade” taste: Puree a can of Italian-seasoned tomatoes in your blender. Add a can of tomato soup to blender and blend for few seconds. 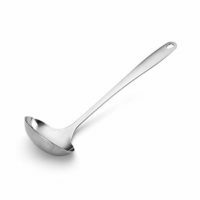 Pour into your saucepan, turn heat to med-low, and add 1 can of milk (or use half and half for extra richness). Heat it up and ready to serve. Garlic croutons on top, or oyster crackers, or a buttery grilled cheddar-cheese sandwich–YUM. Mmmmmmm… tomato soup. It brings back so many childhood memories! 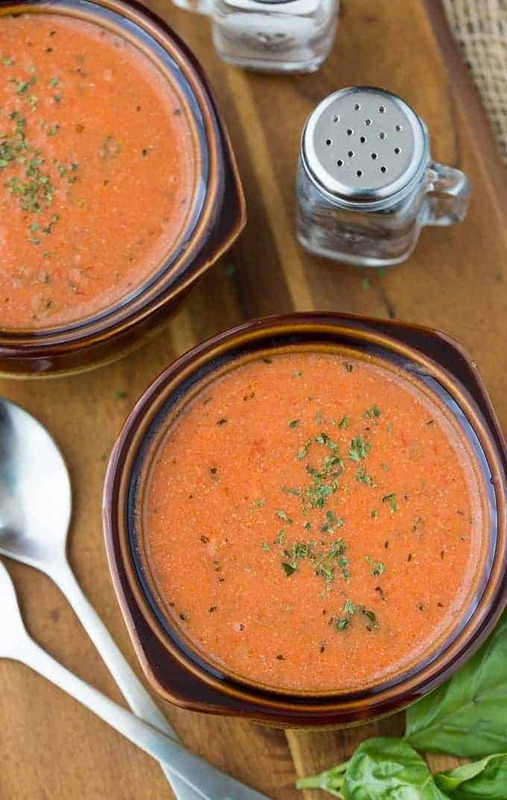 Thank you for sharing your recipe – I’m always on the hunt for new recipes and this one sounds great..
We have a restaurant in Texas – LaMadeline – that makes a wonderful tomato basil soup. I’ve always wondered how to make it and this looks very close. Definitely going on the list of recipes to try! It’s warm here finally but that still sounds really good. great pics…looks delicious. 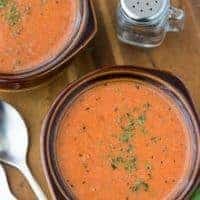 My husbands loves tomato soup so I think I will surprise him with your recipe. Pinning! This was super delish! Oh so much better than that can stuff! 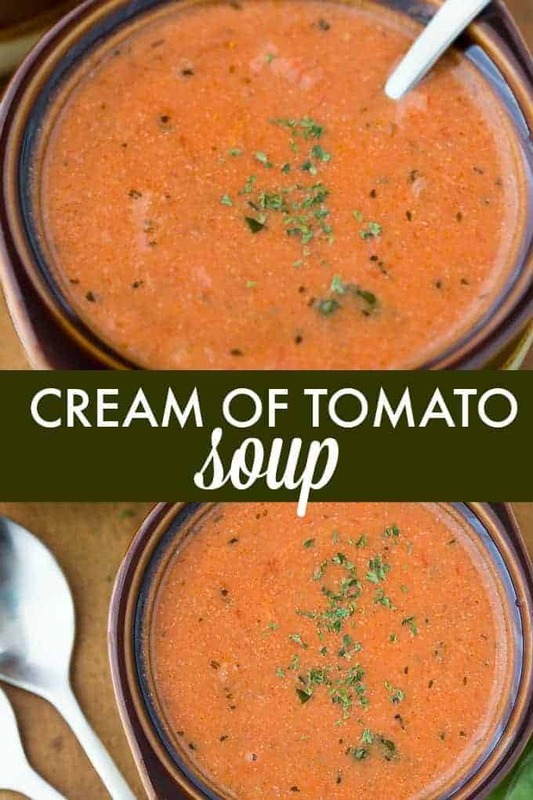 This recipe looks and sounds really good and I love tomato soup so I’m sure I’d love this soup too. This is definitely in my top 10 favorite homemade soups. 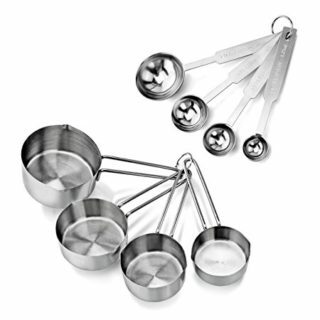 The only modification we did was to use an immersion blender at the end to make it more of a smooth bisque. We served it with grilled cheese (which consisted of bakery fresh sourdough, aged sharp cheddar that was on sale at Aldi this week, avocado, sliced tomato, and uncured bacon). I think the whole thing cost about $15 for two meals x5 people. Win!